Photo of one of the recent Texas wildfires. This is a night shot of the McDonald Observatory near Big Bend National Park. Click to enlarge. 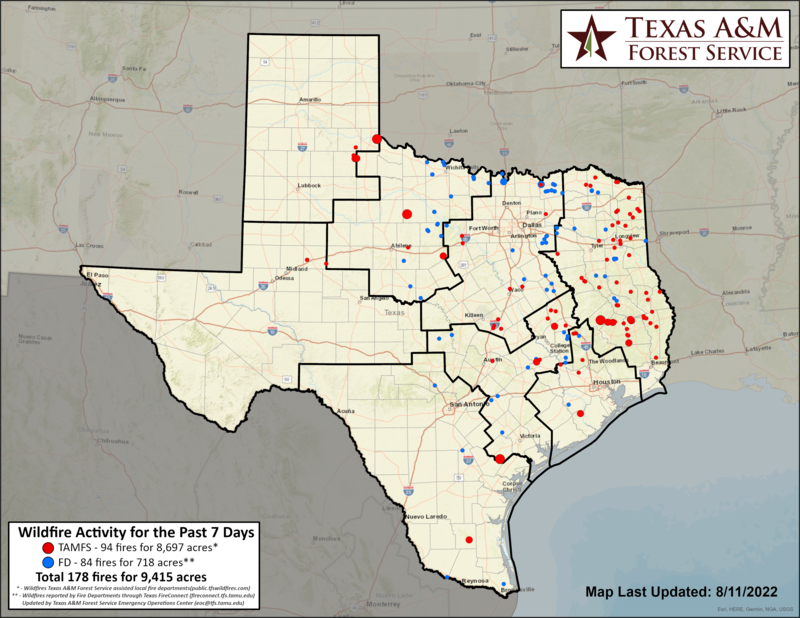 Texas Forest Service Wildfire Assessment (page is refreshed at least once day). One of our Texas Forest Service guys said the fire (not sure if it's the specific one in the picture or another one in the Davis Mountains) was started by high winds blowing a roof off a barn. The roof hit and brought down a power line and that started the fire. The map had a lot more red dots a few days ago. Most of the fires in East Texas seem to be started by Dumb and Dumber burning brush during a burn ban AND in high winds. This is a summation of several interviews: "I didn't know the wind was so high" (as their hats were being blown off their heads). As of two days ago 252 of the 254 counties in Texas had or have wildfires. This is such a serious situation. There is a gallery of the Texas Wildfires in this article underneath the videos. The observatory picture looks like something out of War of the Worlds. Its hard to believe these fires are so widespread, and the worst ones on record during our so called rainy season. While the metroplex doesn't seem to be in jeopardy, our daugther is in Abilene, and we are worried about the fires affecting that area. Looks like today will be another bad day. Our thoughts and prayers go out to all who have been impacted and especially to the fire fighters that are battling this inferno.